The world revolves around relationships. Every company has relationships with its customers, shareholders, and employees as well as the public. Without these relationships, business would cease to exist. So, what does public relations have to do with relationships? “Public relations is a strategic communication process that builds mutually beneficial relationships between organizations and their publics,” according to the Public Relations Society of America. Without effective public relations practices, companies risk losing some of those most valuable relationships. 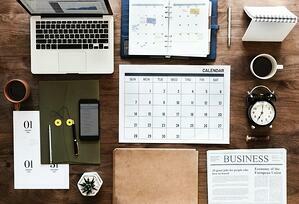 PR professionals use a combination of many tools to create an effective PR plan for your company. Some of those tools include media relations, media tours, social media, special events, and written materials, such as news releases and newsletters. What’s the difference between PR, advertising, and marketing? Sometimes public relations practices get confused with advertising and marketing; however, each serves an individual purpose. Marketing is an umbrella term for the practice of generating awareness for a company, product, or service. Public relations and advertising are tools for effective marketing. Public relations focuses on building and maintaining relationships between a company and its audience, while advertising calls attention to a product or service through paid content. 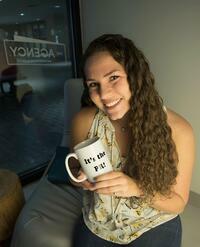 What are three reasons my company needs PR? Public relations can help increase your brand’s credibility. PR practitioners work to build trust between your brand and its key audiences. Public relations will enhance your online presence. PR professionals know how to position your brand on shared and social media channels to gain followers and increase engagement. It can also help to improve your brand’s search engine optimization. As a marketing tool, PR can increase sales and profit by spreading awareness, understanding, trust, and consideration of your brand. 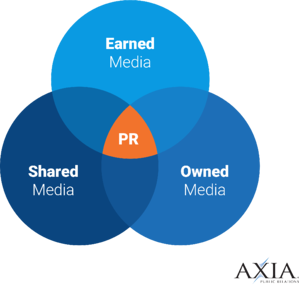 Axia Public Relations will help your company use earned, owned, and shared media to connect people with your brand. We devote 100 percent of our talent to providing the industry’s best PR strategy, counsel, services, measurement, and evaluation. To inquire about working with Axia Public Relations, fill out this form today.